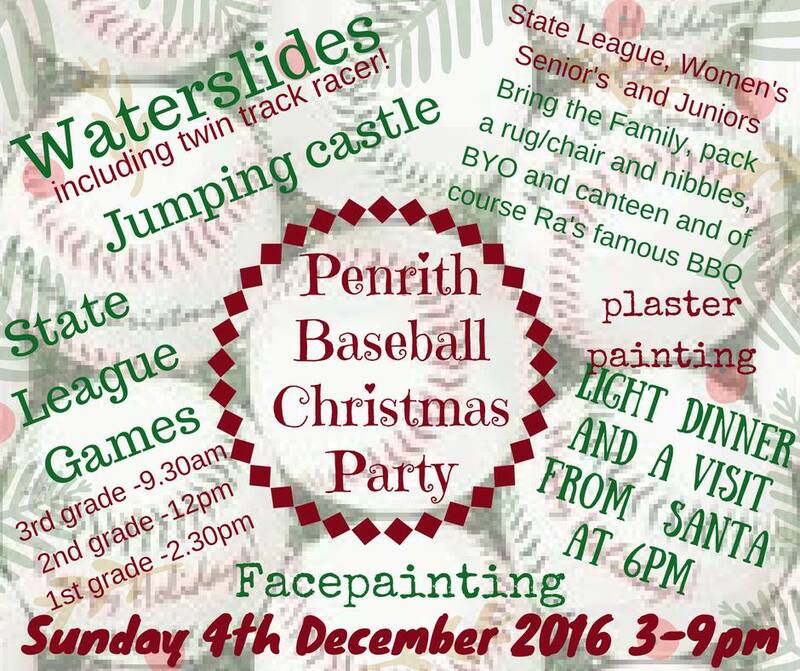 Lock it in…….. Our last State League Home Series before the break will host our 2016 CHRISTMAS PARTY. Head on down to Andrews Road at any time for some great baseball and the festivities kick off from 3pm. ALL welcome! enjoy catching up with team mates club wide! Keep your eyes peeled for the new waterslide … the challenge is on! No Replies to "Christmas Party and Last State League home game of 2016"